The sun shone and joy flowed on Max and Alyssa’s March wedding day! With Stonehouse at Stirling Ridge as both their ceremony and wedding venue, the scene was romantic and elegant. Combined with the crazy love between this darling duo, it was the kind of celebration that warms your heart and takes your breath away. 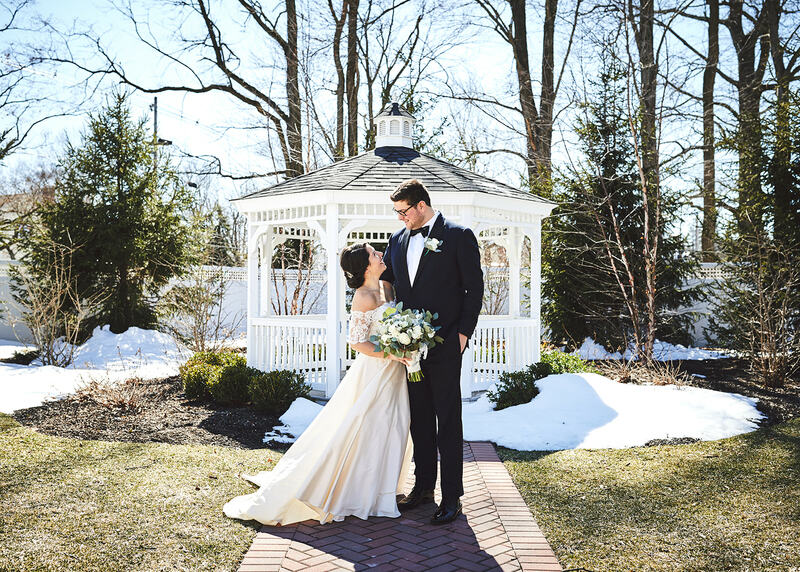 Just like our smiling bride, who wore her Lea-Ann Belter Mary and Mackenzie jacket with such effortless grace. The sunny weather created the perfect temps for their outdoor vows beneath a lovely chuppah draped in flowers, and their (adorable) pup Harper was there, too. Once husband and wife, these two stole away to celebrate in the golden afternoon light playing across the Stonehouse grounds. Then it was indoors to join everyone near and dear to throw down—which they totally did, starting with a crazy fun hora!